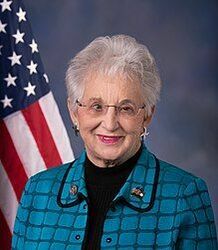 Long time advocate for our sector, Congresswoman Virginia Foxx will open the 2019 CECU Convention this year. The U.S. Representative for North Carolina's 5th congressional district is one of the leading supporters of our sector and is committed to delivering a powerful and motivating message to the sector's growth and progress. ​Kicking off our opening day will be Jim Carroll, the leading global futurist on trends and innovation, as the first keynote for the 2019 Annual Convention in New Orleans. Keeping with the theme of Innovation: Our History! Our Future! Jim was an obvious choice to bring back by popular demand to the CECU audience. He has more than 25 years in customized research on changing trends and high-velocity innovations to inspire companies from a variety of sectors to prepare for change and adapt to the needs of the future. Jim first spoke to a CECU audience in 2015 at the Convention in Denver, CO with an inspiring address on the changing trends in the workforce and how our institutions needed to keep up with upcoming trends to stay relevant and forward thinking. Now in this new reality of cutting edge technology and adapting skill needs, that message is more important than ever. With more than 25 years of experience in nursing, research, higher education, and health policy analysis, Sheldon D. Fields, Ph.D., RN, FAAN, served as dean of the School of Health Professions until August 2018. In addition to his academic and research accomplishments, Dr. Fields was the first ever male registered nurse selected for the Robert Wood Johnson Foundation Health Policy Fellowship Program. As a fellow, he worked in Washington, D.C. for United States Senator Barbara Mikulski (D-MD) on the Senate Committee on Health, Education, Labor, and Pensions—Subcommittee on Aging during the historic healthcare reform debates and 2009-10 passage of the Affordable Care Act. Dr. Fields joins us on Tuesday, June 4th to discuss the upcoming trends and projections for healthcare careers. Joining Dr. Fields in Tuesday's Keynote will be Carolyn Lee, the executive director of The Manufacturing Institute. The Manufacturing Institute is the education and workforce partner of the National Association of Manufacturers, the nation’s largest industrial trade association.